NHL commissioner Gary Bettman indicates that the earliest a Seattle NHL expansion bid will be voted on is this fall, as work remains in the process. An effort is underway to bring an NHL expansion franchise to Seattle, where the team would play at a renovated KeyArena. 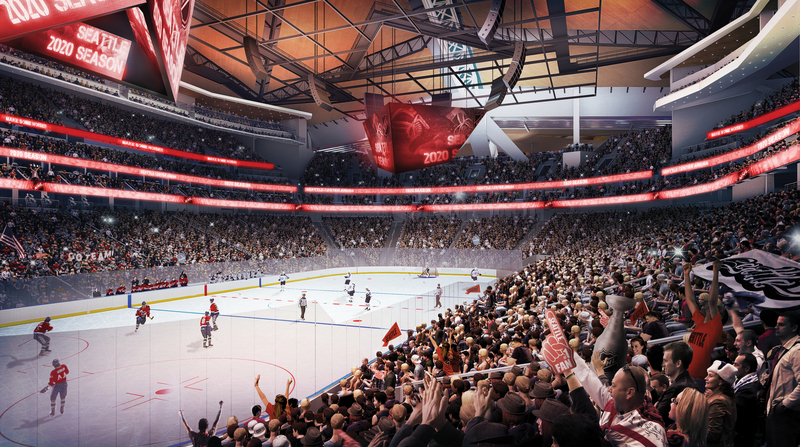 Led by billionaire David Bonderman and producer Jerry Bruckheimer, the Seattle expansion effort is seeking approval for a team to begin play in the fall of 2020, coinciding with the completion of the arena renovation. Commissioner Bettman said an update on the Seattle expansion application will be provided to the Board at its meeting June 20. The ownership group is working with Los Angeles-based Oak View Group on a privately financed $600 million renovation of KeyArena, the former home of the NBA’s Seattle SuperSonics before the franchise relocated to Oklahoma City in 2008. “The building still has to be renovated, so there’s plenty of time to deal with the issues that have to be dealt with,” Commissioner Bettman said. The KeyArena renovation will result in a modernized venue that is capable of hosting teams in both the NBA and NHL. There is plenty of sentiment in Seattle for landing an NBA team, as the city has been without one since the SuperSonics relocated to Oklahoma City in 2008, but the ongoing expansion effort makes the NHL a more imminent possibility.